Explanation: What would it look like to fly past Mercury? Just such an adventure was experienced last week by the MESSENGER spacecraft during its first flyby of the strange moon-like world nearest the Sun. Pictured above is the limb of Mercury seen by MESSENGER upon approach, from about 1 1/2 Earth diameters away. Visible on the hot and barren planet are many craters, many appeared to be more shallow than similarly sized craters on the Moon. 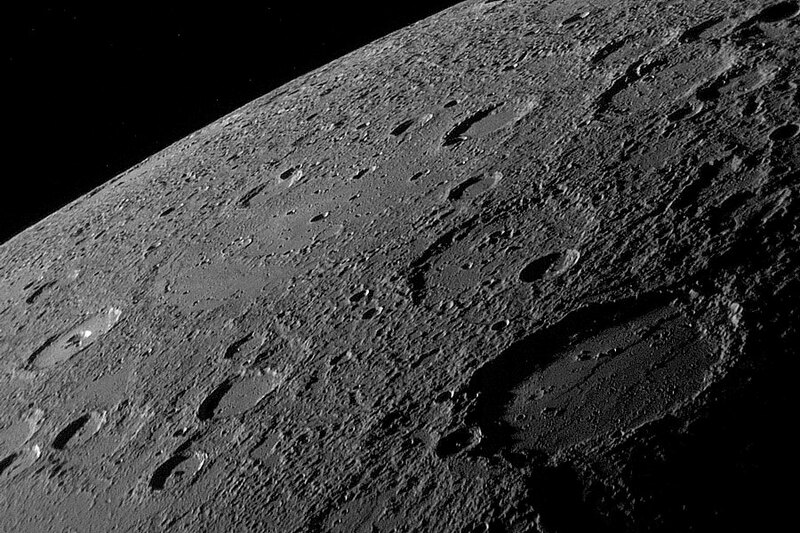 The comparatively high gravity of Mercury helps flatten tall structures like high crater walls. 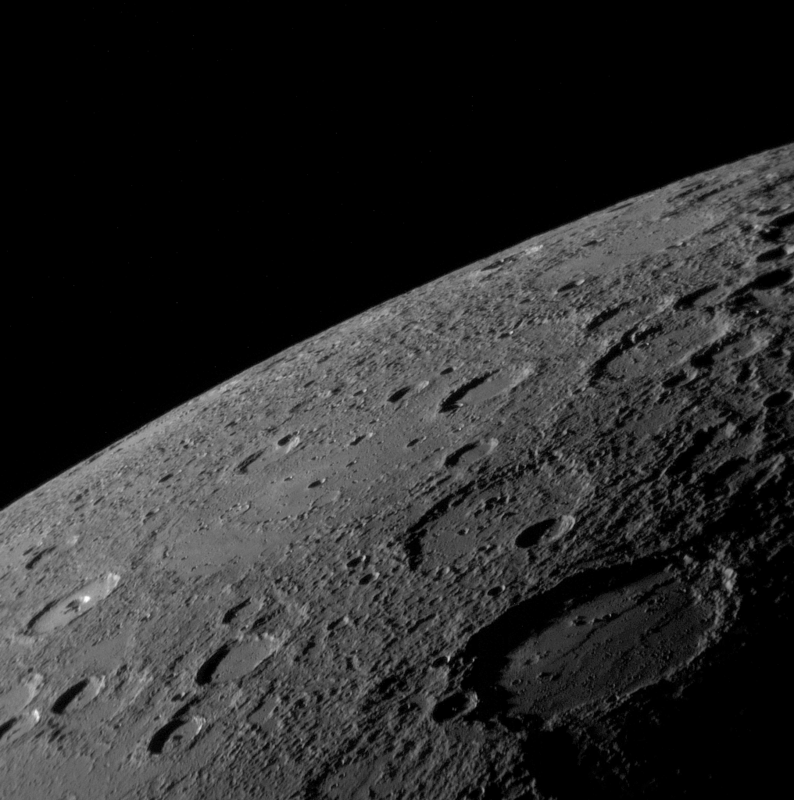 MESSENGER was able to take over 1,000 images of Mercury which will be beamed back to Earth for planetary geologists to study. The robotic MESSENGER spacecraft is scheduled to fly past Mercury twice more before firing its thrusters to enter orbit in 2011.